The numbers of Chinese tourists making long haul trips is growing rapidly. With GDP per capita increasing by 148% in the last decade, the number of Chinese middle class citizens has risen accordingly. With more disposable income, the increasing numbers of families who are now able to afford international travel has strengthened the country’s role as a key market for international tourism. Chinese holidaymakers are influenced by various factors including value for money, travel time, their knowledge of European destinations, availability of Chinese friendly facilities and perceived safety. The Chinese tourism sector is largely still made up of guided package tours. However, there’s a new emerging trend of independent holidaymakers on self-organised trips abroad. This type of tourist is quite flexible with their travel plans, eager to seek out new experiences and destinations off the ‘typical tourist’s’ map. The independent holidaymaker has greater propensity to spontaneously spend, shop and explore, often stopping off for a greater number of nights to explore one location. Online platforms are increasingly used by Chinese travellers to book their trips, or part of it, ever more so these days by mobile. Such social forums will play a significant part in the future of independent self-organised holidaymakers’ trips. 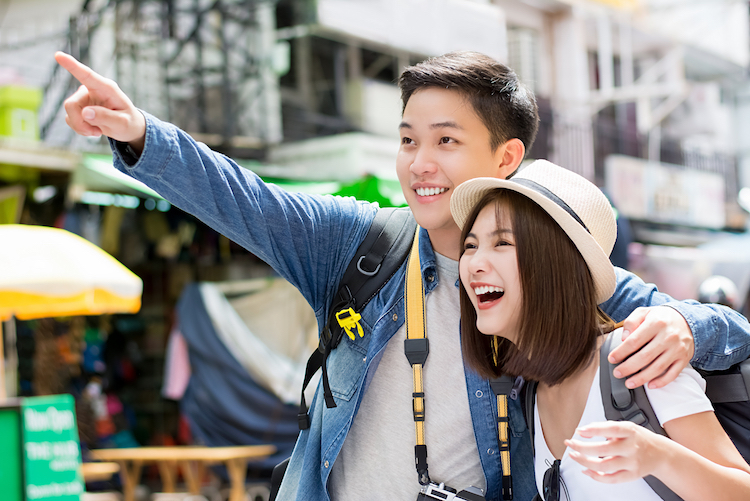 Chinese tourists also largely use social media to document new experiences and adventures when on holiday to update loved ones and their online following back home.